Is your dog barking too much? Has your pooch been lethargic lately? Or has your canine companion turned aggressive and wild? Take heed as these may all be symptoms of canine stress. 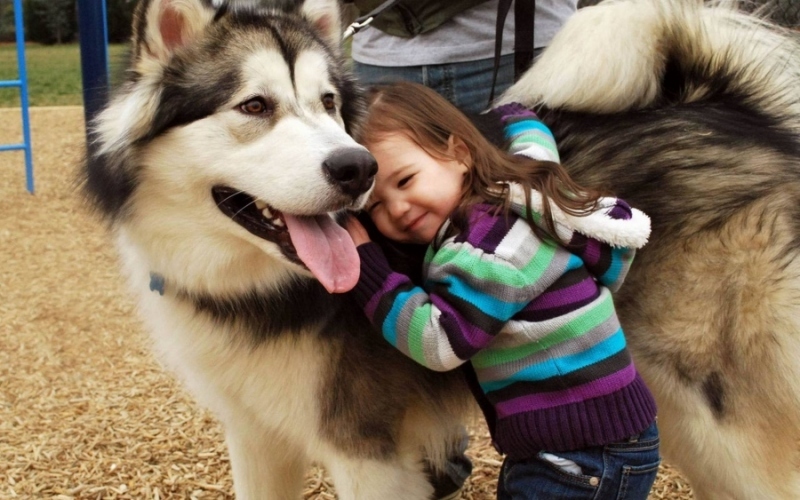 Dogs are considered to be a human’s best friend. People love to frolic and have fun with their furry friends. Most dog lovers treat them as part of their family. Individuals with special needs and health conditions even employ therapy dogs to help them deal with various issues. While humans benefit from the stress relief their helpful hounds offer, you must also know that dogs can also feel stressed and anxious. There are instances wherein your dog can become agitated and frantic. Exposure to unfamiliar places, new people, noises, or even new smells can led them into a tizzy. While some dogs exhibit excited behavior because well, they’re happy, others that are experiencing it for the first time can be stressed about it. You might think that this is an exaggeration or simply being overly reactive. Dogs would naturally bark, yes. However, according to a study done in the United Kingdom to find out the indicators of stress and stress assessment in dogs, vocalizations were considered to be first among many behavioral stress indicators. Among the dogs observed, 60% displayed such activity, which may be brought on by chronic stress due to being kenneled for a long time. When they continue to bark all the time especially when left alone, it is a possible sign of being distressed by separation. Signing your dog up for a behavioral management program may help; take your dog to the vet if you think your pet is going through this to address the problem. Create an exercise program that you will both enjoy. When you’ve been together for quite some time, you may already be familiar with your dog’s sleeping pattern. Dogs enjoy sleeping next to their owners or a person they like, as observed in research done on a shelter sleepover program that explores ways to reduce stress in dogs. If your dog suddenly deviates from his sleeping habits and you notice that your doggie seems to be getting his 40 winks for an extended period, then it is best to consult your veterinarian. Displaying a sign of sickness such as diabetes, heart ailments, liver problems, diarrhea, severe dehydration, or poisoning, among others. Unlike people, dogs do not go on diets. Unless your vet recently suggested that your furry pal go on a special dietary plan, dogs that exhibit a sudden disinterest in eating can be a cause for concern. If your four-legged friend suddenly stops eating or has decreased appetite, it could be a sign of anorexia or an underlying health condition. This cessation in food intake can lead to severe weight loss or even death. Consult your veterinarian immediately so proper care and instruction can be given. Give your dog nutritious and delicious dog food after the vet gives the green light to do so. These dry and wet dog-approved foods can help them regain their health and energy. Dogs love to be scratched. You also see them lick themselves frequently either to clean themselves, for further grooming, or simply out of boredom. While these are usually benign behaviors, excessive licking or scratching can be an indication that something is wrong. Take your barking buddy for daily walks and make time to play together. Social interactions with familiar people can reduce and relieve stress in your dog’s life. When your dog suddenly bares his canines, froths at the mouth with eyes flashing, and directs hostile growling at you, other people, or other animals, then you better dial your vet’s number fast. This could be a sign that your dog is sick or extremely stressed. Consult a veterinary behaviorist to get to the bottom of the matter. Behavioral management techniques conducted by a professional can help in addressing your dog’s anxiety and anger issues. Make sure to watch out for signs of anxiety. By doing so, you can prevent these from happening and save him from those fretful fits. Nourish them with high-quality treats. Special doggie toys can alleviate boredom, especially when you play together. Use an organic stress relief spray that will help calm nervous pups, especially during those trips to the vet or during bad weather. A soap-, paraben-, and sulfate-free spray like this can also make your dog’s coat shiny and fresh smelling. Your beloved dog always gives you that warm, fuzzy feeling with his funny antics and playful demeanor. You should return the favor and shower your hairy hound the same respect, love, care and attention he deserves as well. Rising Numbers Of Hospital Stress Admissions: A Cause For Concern?